Foster America held its second quarterly fellowship convening March 27-30 in Pittsburgh, PA. We are especially grateful to Allegheny County Department of Human Services Director Marc Cherna for hosting us, and to all of our guest presenters for sharing their wisdom and expertise with our fellows. Don Winstead, principal of Winstead Consulting and former leader of the Florida Department of Children and Families, and Joan Smith, Managing Director at Casey Family Programs, led our fellows through a session on child welfare financing. Dr. Walter Smith, leader of the Children, Youth, and Families Division of Allegheny County DHS, shared concrete examples of the County’s innovative approaches to child welfare case practice, including their preventive work in collaboration with the rest of their integrated human services agency. 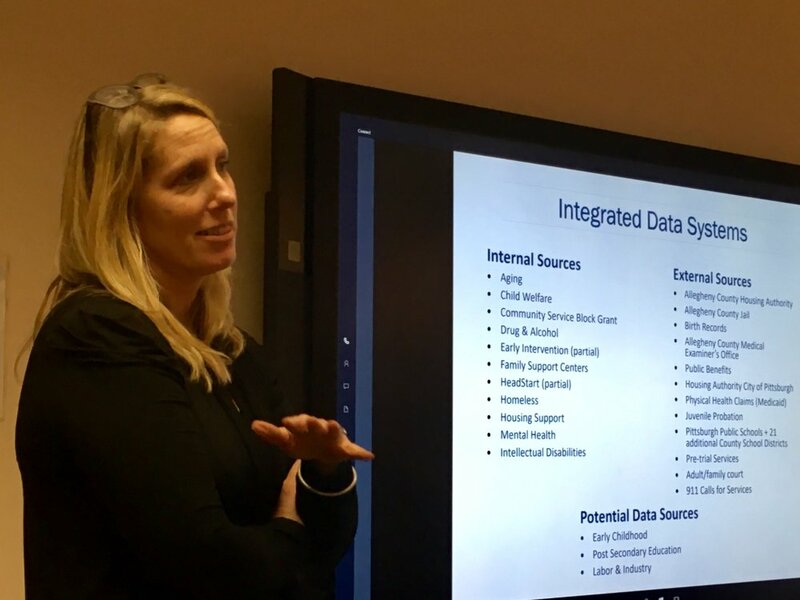 Erin Dalton, leader of the Data, Analysis, Research, and Evaluation Division of Allegheny County DHS, introduced the fellows to the county’s nation-leading approach to predictive analytics and data use. Erica Brown of the Laura and John Arnold Foundation facilitated a blue sky discussion on transforming child welfare. 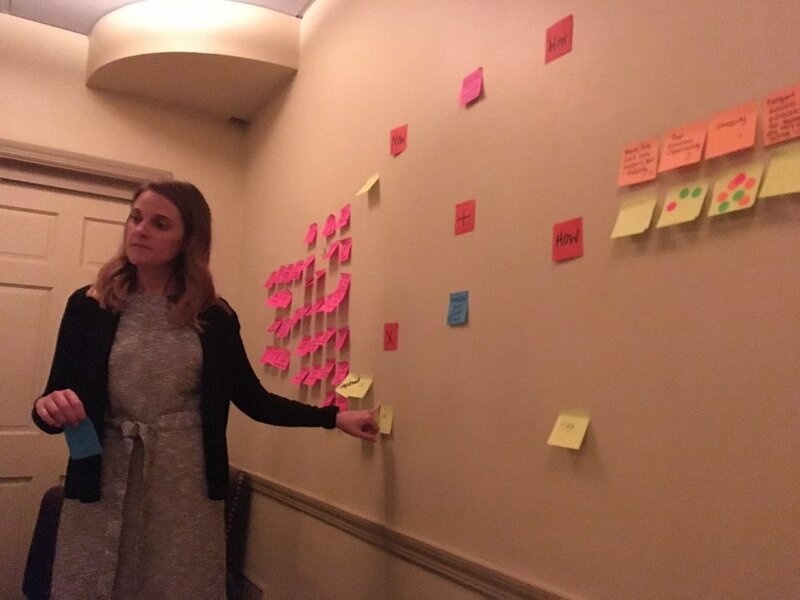 Cara Jones, founder of Marinus Analytics, and her team at the Carnegie Mellon University Auton Lab taught our fellows how big data can be most effectively leveraged for social impact. Allison Wyatt of Edgility Consulting led a session on professional development and career planning. 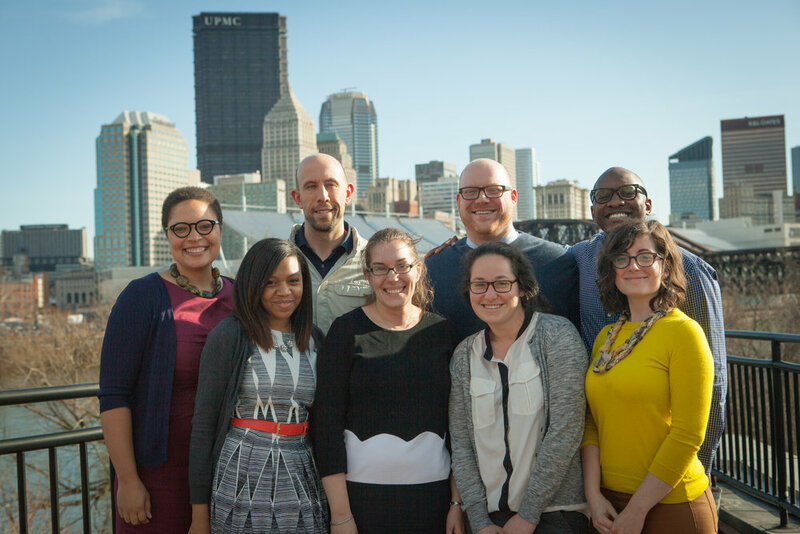 Our fellows also had the opportunity to visit Allegheny County’s award-winning Youth Support Partners program, where systems-involved youth receive the support of professionally trained young adults, who themselves were formerly received child welfare, juvenile justice, or mental health services. Fellows also visited Auberle's 412 Youth Zone, which provides a comprehensive suite of services to youths 16-23 aging out of the foster care system. We are looking forward to our next quarterly convening in June. Stay tuned for updates!